Took this old drawing and threw some color on it! 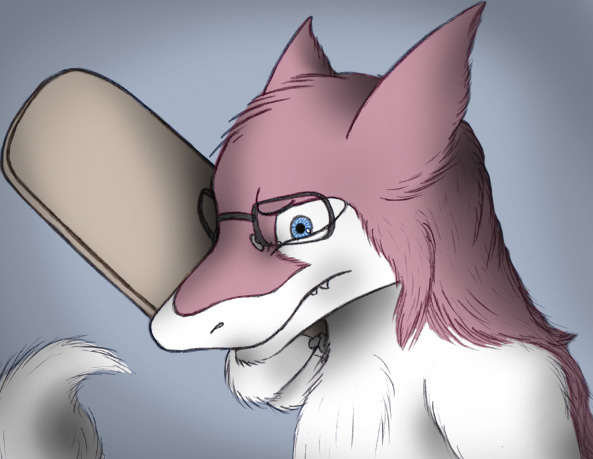 I figured I could use at least one finished bust of my 'sona. Rectangular with curved edges - smooth, plain surface. My favorite! And stings way worse than most other things too! They ought to be for me! I never did slip into writing, so I occupied my paws with some more coloring. The practice must be paying off if I can make something old look decent! My method of making fur back then doesn't lend itself to coloring.